wife’s good friend J & H was in sydney and brought back a large ranger valley black onyx boned-in ribeye for us. 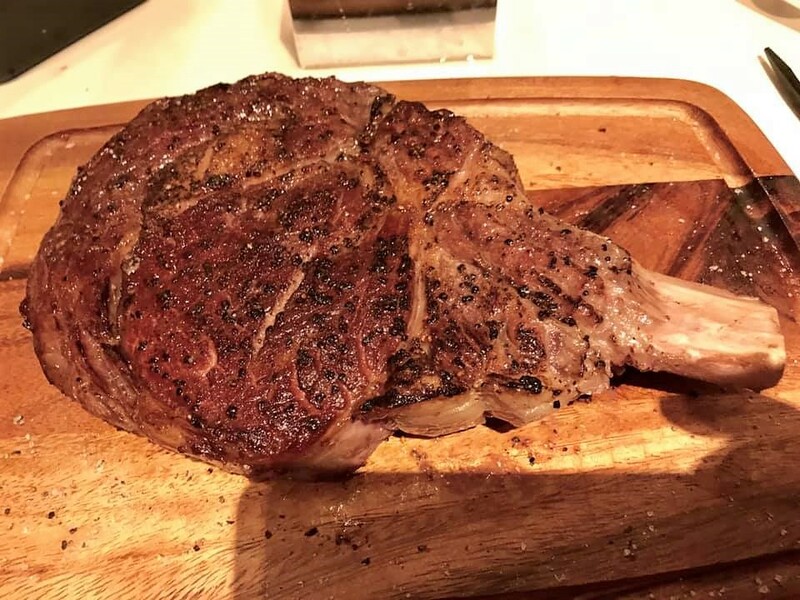 it was a thick slab like 2″ and probably 1kg – 1.2kg steak. i decided to do the reverse sear method using the sous vide machine wife bought me sometime back but i had not used yet. 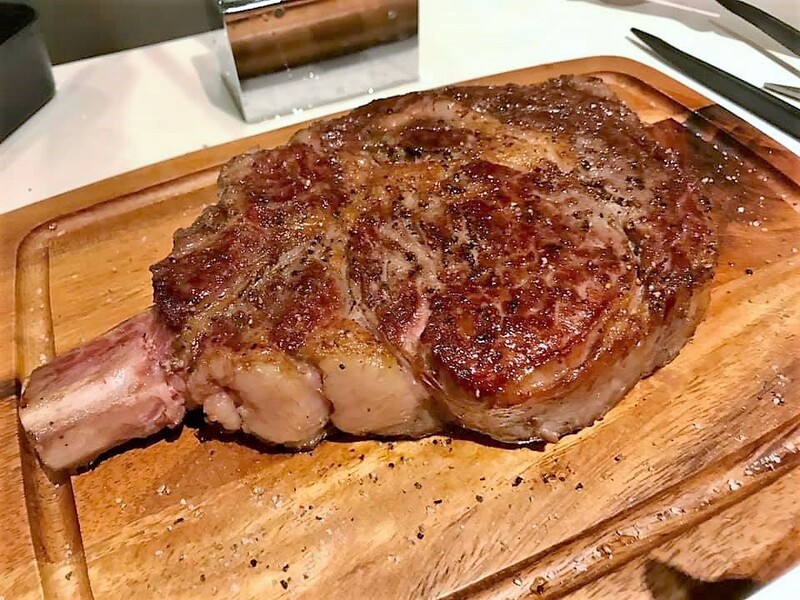 so reverse sear just mean to cook the steak to the perfect doneness and texture, in this case medium rare, then to bbq, pan-grill and flame to brown and caramelise the sugars – the maillard reaction to make a flavourful steak. and indeed reverse sear should be done using sous vide, but i approximated with oven when i did not have sous vide machine. i estimated 53.5degC and 2hrs. this i double checked with J’s son M who did this many times before and also googled, and it was just that, quite correct! most internet recipe seasoned the steak first. 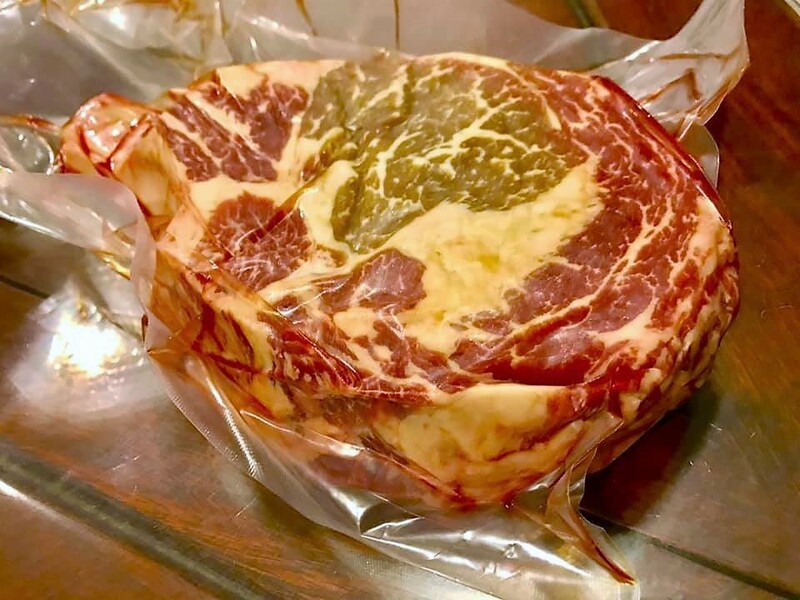 the steak came vacuum packed and i didn’t want to break it, season then seal in vacuum bag again, so i sous vide in the original vacuum pack. i boiled water and added to to the sous vide pot to bring the temp to around 50degC, and set sous vide to 53.3degC and 2 hrs. then i removed the steak patted dry with kitchen towels and seasoned with sea salt and black pepper. then i pan-grilled on high heat with little butter, flaming the surface side, turned the steak and repeated. very flavourful, bursting with flavours literally, marbled consistency not too fat. 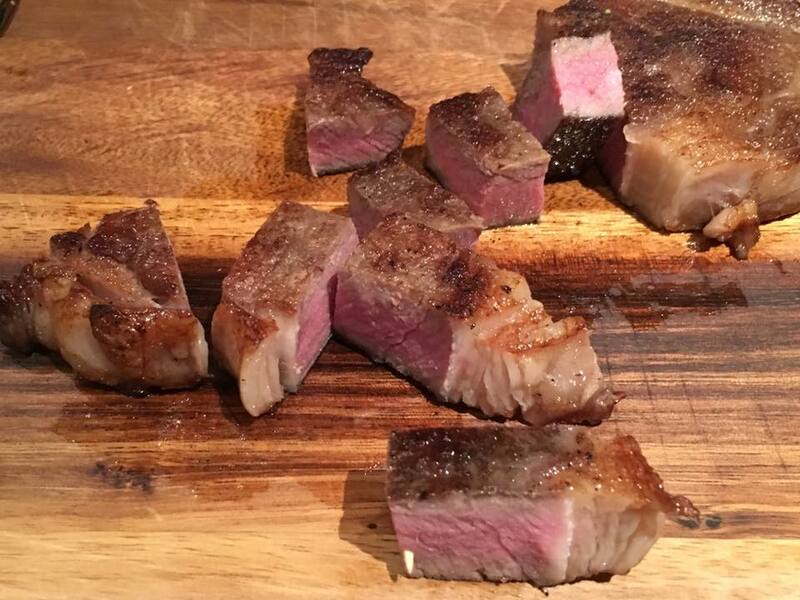 almost perfect steak! sous means below, vide means temperature so sous vide just means lower temperature cooking. 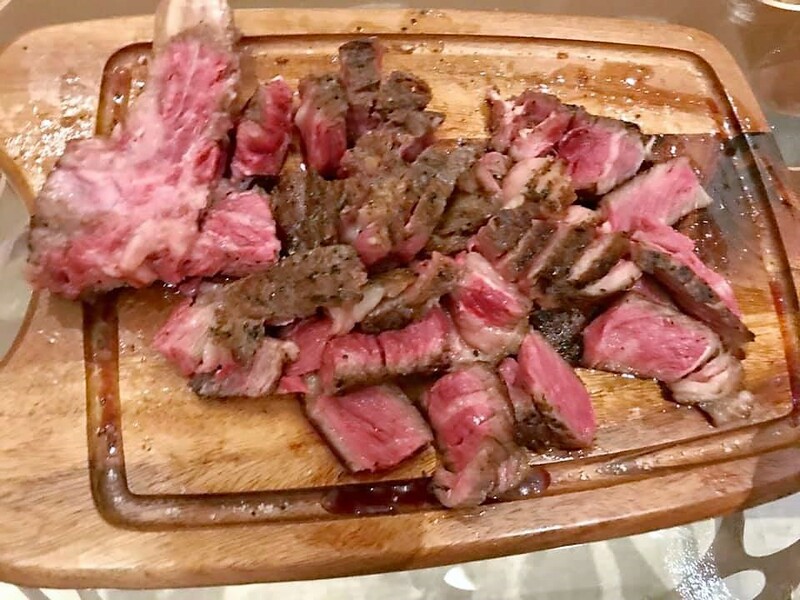 most literature will tell you sous vide provides consistency in internal temperature and so makes a more perfect steak, whereas pan-grilled, bbq etc results in a temperature gradient. 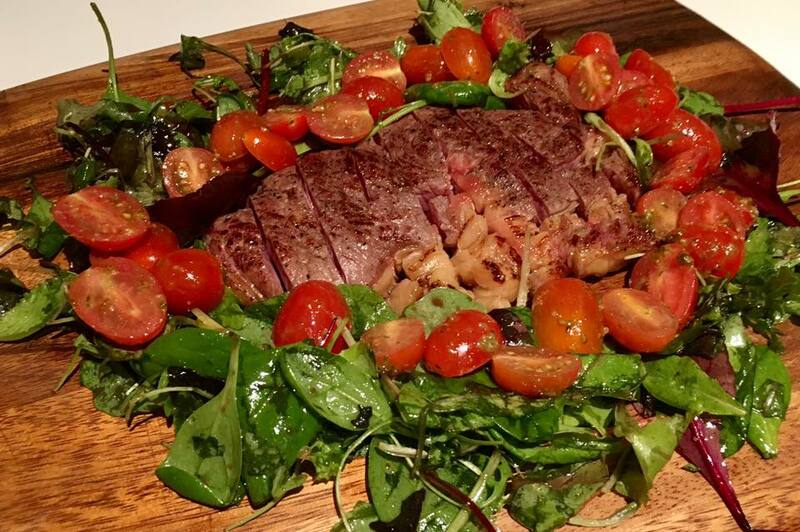 and indeed though my tagliata di manzo using the pangrilled method is really quite good. 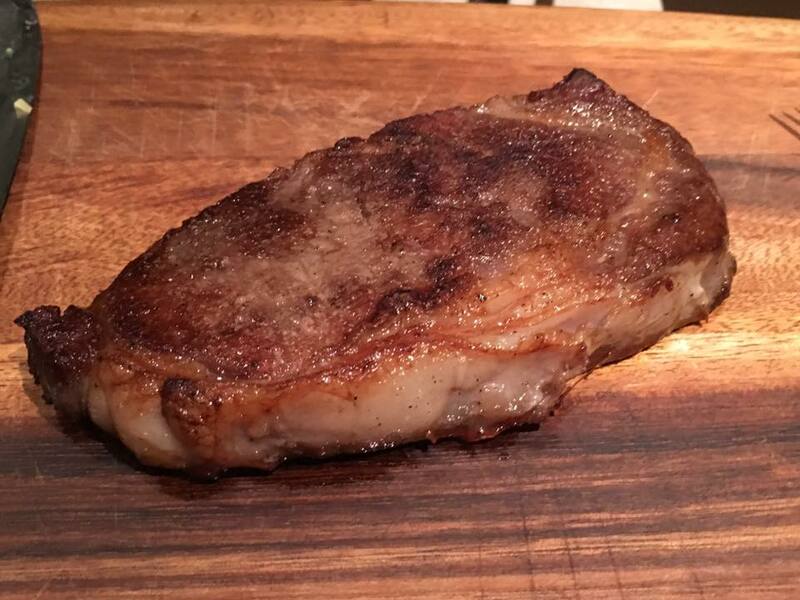 see if i can get 2″ thick cut reasonably priced boned-in ribeye here. 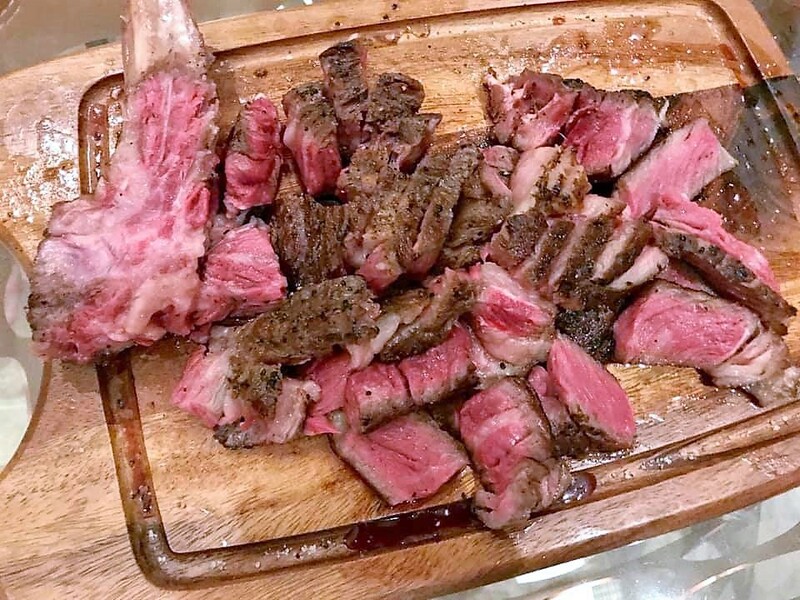 thick cuts are important as the pan – searing and flaming to brown the steak may overcook thin steaks and negate the purpose of sous vide. may try also other cheaper cuts of meat like rump? I love my sous vide cooker. Perfect steak every time. Same doness from edge to edge.